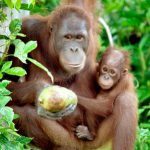 I’ve been BOS Australia’s Administrator for over five years now and I’m often asked if I’ve visited our projects in Borneo. I can now happily answer that question with a resounding ‘yes’ and would highly recommend the experience. Recently I spent three weeks volunteering on the Enrichment Program at Samboja Lestari, East Kalimantan, a truly unforgettable experience. 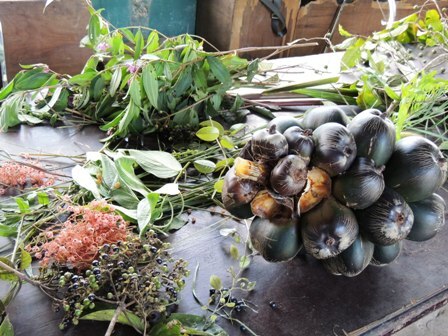 Our days were varied and ranged from trips to the local market for vegetables to an afternoon with the resident botanist, collecting browse and approved berries and fruit. 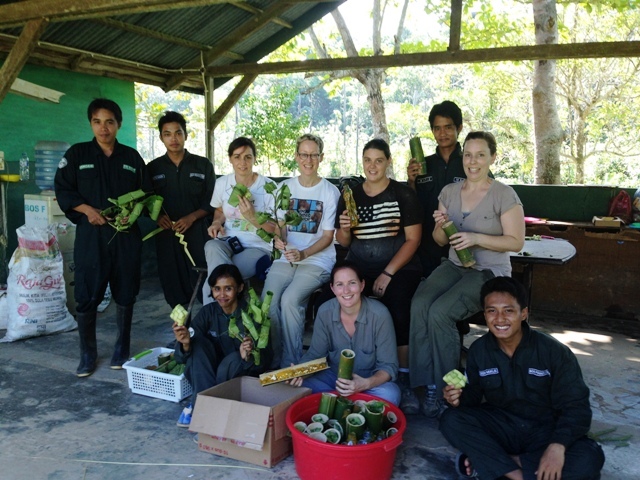 During our stay the BOS Australia Enrichment Program volunteers worked closely with the Enrichment Staff (from Samboja and Nyaru Menteng) and we developed new enrichment items using vegetables, recycled items, forest materials and seeds. It was hands-on, hard work and very satisfying. 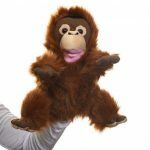 The highlight of each day was watching the keepers distribute the new enrichment items and observing and noting how the orangutans interacted with them. We completed assessment forms to ensure approved items could be implemented into the Enrichment Program in the long-term. 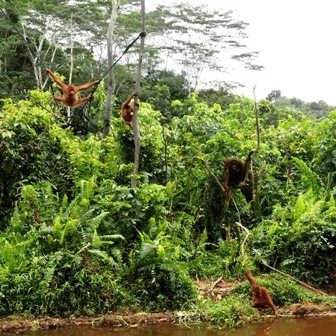 Towards the end of our trip, when we had passed quarantine, we were allowed to visit Forest School and see the young orangutans showing off their climbing and swinging skills in the surrounding jungle. I was moved to tears. They are learning these valuable skills from such dedicated staff and they’re well on their way to journeying back to the wild where they belong. By the end of our time there we had developed a bi-lingual enrichment manual and recipe book for all approved items, which was a very satisfying outcome. In Lou Grossfeldt’s recently published book, Our Primate Family, she has described a day at Samboja and it’s fascinating. It isn’t easy to put into words the magic of the place but Lou captures it well. 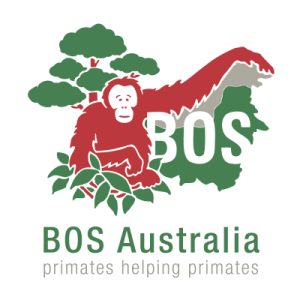 BOS Australia plans to run further Volunteer Enrichment Program trips in February and November each year. 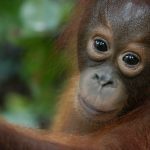 To express interest in these trips, please email contact@orangutans.com.au.